Since the Norman Conquest English kings were vassals of the kings of France. Hundred Years’ War was an epic conflict between France and its mightiest vassal England for the French kingdom. According to historians, the war lasted from 1337 to 1453 making it 116 years long. Here are 10 interesting facts about the causes, battles, result and effects of this epic war. The region of Aquitaine was a major point of fiction between France and England with both wanting to hold it. Also Robert III of Artois, whom Philip VI of France considered as his enemy, found shelter under English king Edward III. 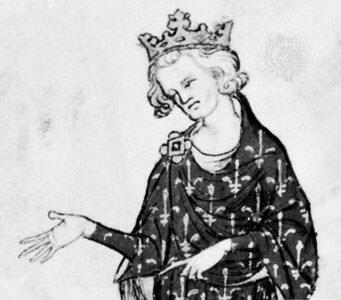 In May 1337, Philip VI confiscated the Duchy of Aquitaine on the grounds that Edward had breached his obligations as vassal and sheltered Philip’s enemy. Confiscation of Aquitaine was the event which started the Hundred Years’ War. 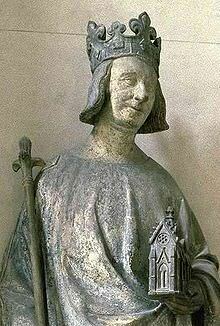 In 1328, Charles IV of France had died without a male heir. Edward III was the nearest male relative of Charles IV being the son of Charles IV’s sister Isabella. French nobility, not wanting the English king, decided that males couldn’t derive their right through their mothers as she didn’t herself possess the right due to her gender. After confiscation of Aquitaine and French support of Scotland in their war against England, Edward III revived his claim and in 1340 formally assumed the title of ‘King of France’ to put pressure on Philip VI. In 1340, the English fleet annihilated the French fleet in the Battle of Sluys. Due to victory at Sluys, England dominated the English Channel for the rest of the war. 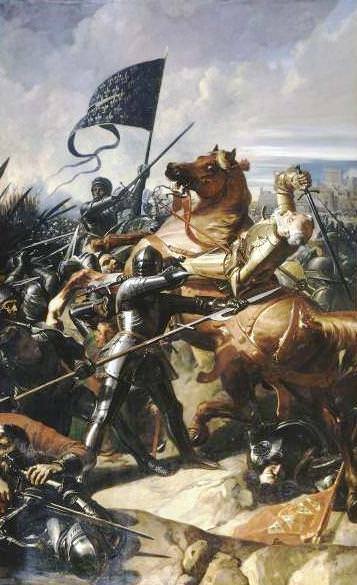 The Battle of Crecy, fought in 1346, was another complete disaster for the French. In 1356, Edward’s son and namesake, later known as the Black Prince, won a great victory in the Battle of Poitiers during which King John II of France, Philip’s successor, was taken prisoner. 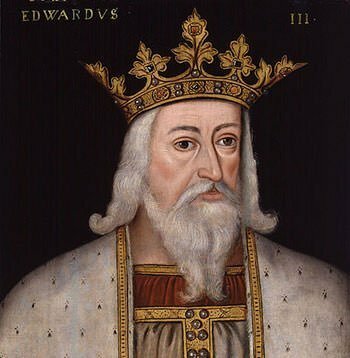 Due to his successes and with France king-less, Edward III tried to take the throne of France but was unsuccessful. Instead the Treaty of Bretigny was signed in 1360 by which France paid three million crowns for King John’s ransom and ceded an enlarged Aquitaine to Edward, wholly independent of the French crown while Edward renounced his claim to the French crown. Peace lasted for the next nine years. Peace broke in 1369 mainly due to France and England supporting opposite sides in an internal Spanish dispute for Castile’s throne. France was under the capable leadership of Charles V, who with the help of his commander in chief Bertrand du Guesclin, succeeded in reconquering almost all the ceded territory by the time he died in 1380. England, plagued by the Peasants’ Revolt and wars with the Scots, pursued peace under Richard II and France were also becoming war-weary. This led to a period of peace from 1389 to 1415. In 1413, Henry V took over the throne of England. Mental illness of Charles VI had divided France at the time with royal princes fighting amongst each other. Henry V exploited these divisions. 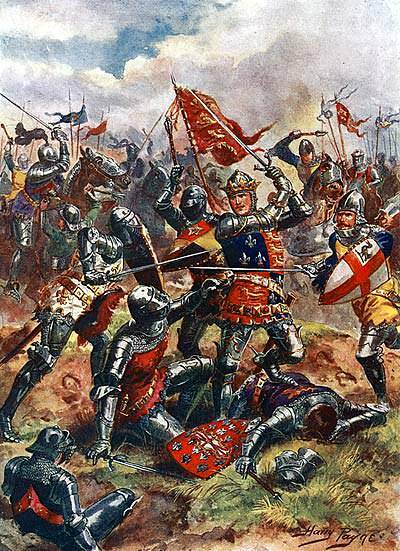 In 1415, Henry V, despite being outmanoeuvred and low on supplies, defeated a much larger French army at the Battle of Agincourt. It was a devastating loss for France with more French being captured than the British army. Considering it a security risk, Henry V ordered the death of the French prisoners. About 40% of French nobility was killed. Battle of Agincourt completely shifted the balance in favor of England. 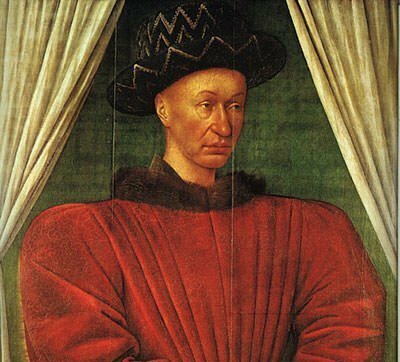 Henry V followed it up with more successes and in 1420 the Treaty of Troyes was signed by which King Charles VI of France disinherited his eldest son Charles VII, Henry married the daughter of Charles, Henry’s heirs would inherit the throne of France and he would act regent for Charles till he lived. After the death of Henry V, his nine month old son Henry VI was recognized as King of France in Paris but many parts of France still considered the eldest son, or Dauphin, Charles VII as their king. John, Duke of Bedford acted as regent to Henry VI and England continued to dominate the war. 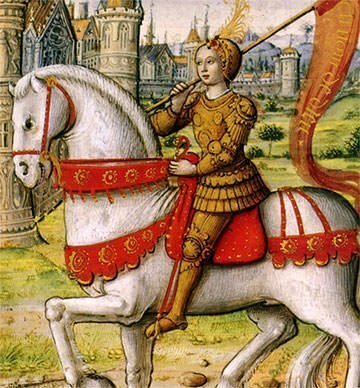 In 1428 when Orleans was under siege by England, Joan of Arc convinced Charles VII to send her to the siege, saying she had received visions from God telling her to drive out the English from France. The siege was broken and then Joan defeated the English again allowing the coronation of the Dauphin as Charles VII in Rheims cathedral. Joan of Arc was captured, handed over to the British and burned at the stake. In 1435, Treaty of Arras was signed by which Philip III, Duke of Burgundy, abandoned his English alliance and Paris was returned to Charles VII of France. Charles reorganized and reformed the French army and France dominated the war. 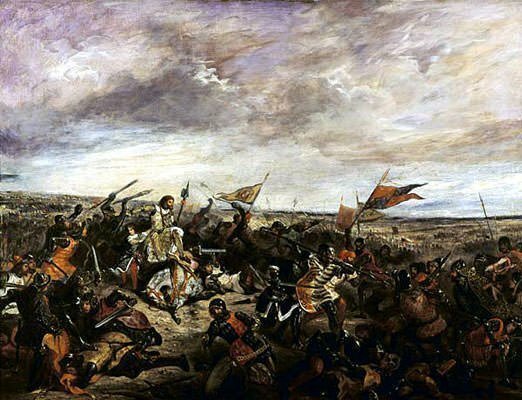 Normandy was recaptured in 1450 and in 1453 the English were defeated at the Battle of Castillon, which is considered the last battle of the Hundred Years’ War. In 1475, Treaty of Picquigny formally ended the war with the English renouncing their claim to the throne of France. Plague and warfare drastically reduced the population during the Hundred Years’ War. France lost half of its population while England’s population was reduced by 20 to 33 percent. The war made France realize the importance of warfare to protect their homeland from foreigners. England, having lost nearly all of its outside territories, was left with a sense of being an island nation which affected its outlook and development. The Hundred Years’ War also gave impetus to ideas of French and English nationalism. 10 Major Accomplishments of Martin Luther King Jr.